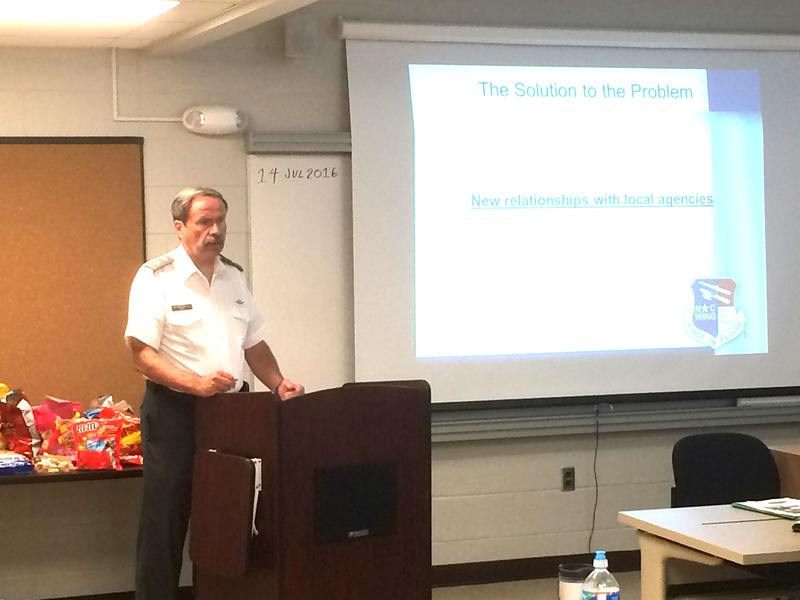 7/15/2016–GUNPOWDER, MD–Maj John May of NCWG and NC-121 conducted a session at the 2016 Middle East Region Staff College entitled, "Creating Relationships With Local Agencies." He was one of only two students to be invited to teach at this year's college. 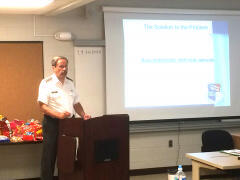 His presentation showed off NCWG's emergency services capabilities flyer, which he developed. Students from all over the region learned about what NCWG was doing to promote their work to local organizations. The 2016 Middle East Region Staff College is taking place from 9 July through 16 July at Edgewood Arsenal in Maryland. This event is required for members to complete Level IV in the Civil Air Patrol. Students and staff stay on-post and participate in drill, group work, and sessions on many interesting topics.